The word “selo” is a proto-Slavic word for village that has an Indo-European origin². 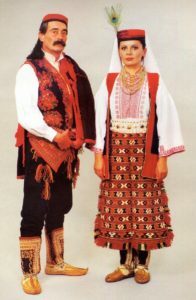 Seljak, in Croatian, is a derivative of selo, meaning “villager”. While the Portuguese word for village is “aldeia”, and the term for villager is “aldeão”, there is a peculiar group of aldeão in the countryside surrounding Lisbon that go by the moniker “saloios”. Interestingly, both seljak and saloios carry a derogatory connotation, and come closer to meaning “redneck” than villager. 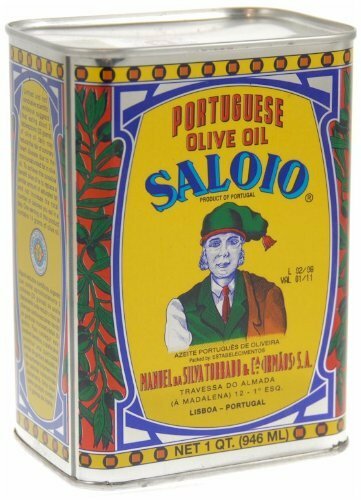 I first heard the term saloios while drinking with my Portuguese friends in Prague. They were cursing each other in their language. Immediately, something clicked. “Did you just call him a redneck?”, I asked. They were shocked that I understood the reference, especially since the term is only really used around Lisbon. They briefly explained the history of the word, but then somebody yelled “putas e vinho verde!” and handed me another round of porto. Okay, so who are these funny looking saloios who look just like my cherished seljaci of Croatia? This has got to be a coincidence, right? Some Portuguese sailors probably stopped by Dalmatia, got rowdy and stole some village girls. They returned to Lisbon, and starting calling people saloios. Clearly, this was a Slavic word. Not so fast. I looked up the history of the word saloios and discovered that saloio had nothing to do with the Croatian selo, deriving instead it seems from the Arabic word for “desert inhabitant” or more specifically, follower of the “sect” Çalá. Çalá is an obsolete spelling of the modern salá, a Portuguese term describing those who pray the Islamic salat. The salat or salah is an obligatory prayer that Muslims are called to perform five times a day. Segundo José Pedro Machado [Dicionário Etimológico da Língua Portuguesa, Livros Horizonte, Lisboa], saloio provém do vocábulo árabe (‘çahrauii’/’çahroi’, «homem, habitante do deserto)³. In fact, saloios was in use around Lisbon by the 1150s AD, shortly following its reconquest from the Moors by D. Afonso Henriques, who later became King Afonso I of Portugal. This was far before villagers in Post-Ottoman Medieval Croatia (15-16th century) even began using the word selo in place of the much more popular vas (another Slavic term for village which shares its Indo-European origin with the Latin vicus). Selo, in fact, appeared only after Croatian latinity was demolished by one hundred years of Ottoman conquest and Slavic reconquest of former Venetian territory by the end of the 16th century. 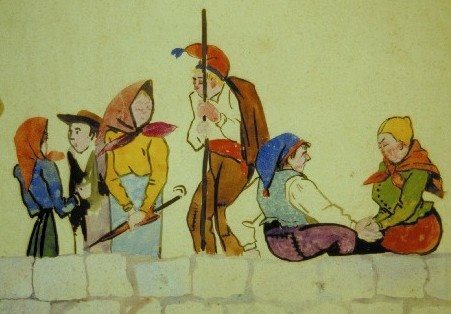 Was the adoption of selo introduced from Arabic via Ottoman rule, or was the older Slavic selo merely reintroduced following the expulsion of Latin culture? 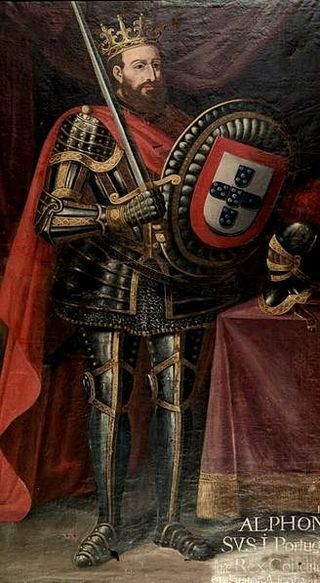 Were the Ottomans aware of the story of Afonso’s Siege of Lisbon? After the siege, Afonso drove out the Moors who lived in Lisbon to the countryside, and that is when they received the moniker saloios. Perhaps just as well, the Croatian villagers who were driven from their plots and converted to Islam by Ottoman armies were derogated with a similar moniker, as a kind of ironic linguistic retaliation (“Haha! They are now forced to pray the salah”). That would be kind of funny. 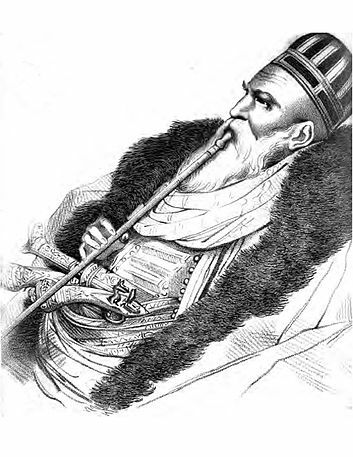 The word baština was used in the same sense in the Ottoman Slavonia, where it was reserved for plots owned by Christian peasants; those belonging to Muslims were termed çiftlik (Turkish word) in the Ottoman tax registers. On the other hand, selište could also mean ‘deserted peasant plot’ (sessio deserta in Latin); this notion was expressed by the now obsolete word pušća, too. In post-Ottoman Slavonia we come upon the etymologically related word pustoselina, meaning ‘deserted village’⁴. Selište means “place where a selo used to be”. What is not clear to me is why baština was replaced with selo, but the widespread reappearance of a relatively ancient proto-Slavic word for village following the Ottoman conquest of the Balkans is somewhat suspicious, especially since Croatian vas or Kajkavian “ves”, which is still used in Czechia today, was vastly more common prior to Ottoman rule of the Balkans. In modern Russian speech, деревня is mostly used when referring to a village. But село has more direct meaning that the people there are living from agriculture and livestock breeding. 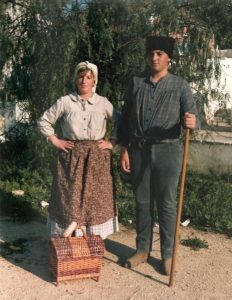 The people who live in Lisbon’s surrounding countryside, whether Moorish or not, are to this day referred to as saloios (behind their backs), although this is usually reserved to insult your drinking buddies, wherever they were born. The Portuguese friends of mine who introduced me to the word saloios were born in Porto, but spent most of their lives in Lisbon. Likewise, my cousins in Dalmatia are often called “seljaćine” (seljaks), in jest, by their city slickin’ counterparts from Zagreb, who come down to the enjoy the beach during the summer. This is all, of course, pure conjecture. I am not a philologist and know almost nothing about etymology. However, I would love to know if there is a realistic connection between the words saloios and seljak, or selo. What do you think? If somebody can definitively disprove the possible relation, I will treat them to a traditional feast in my selo the next time I’m in Europe.